This past Friday night saw the inaugural Atlanta Gaming Classic launched in the heart of Atlanta. 32 of Georgia’s best FIFA players went head-to-head at the Annex Bookstore in a battle for bragging rights and $500 cash presented by Prize Picks! Two of Atlanta’s social media powerhouses, ATATF and GAFollowers, came together to launch the Atlanta Gaming Classic series as a way to bring their communities together in a celebration of gaming, competition and a mixture of cultures. The first tournament up was FIFA 19. The air was filled with a palpable energy from event attendees while competitors exuded a mixture of focus and pre-match jitters. Once the crowd’s energy combined with the good vibes from the open bar provided by Nico and sounds from DJ Trap , that could have easily doubled as a soundtrack for FIFA 20, the environment became practically intoxicating. But it takes more than just good energy to set the type of vibes that these Atlanta influencers joined forces to create. So who else to get assistance from than Atlanta United Fan TV. The group’s energetic brand of shout casting infectiously moved the crowd and turned all attendees into true FIFA fans for the night. 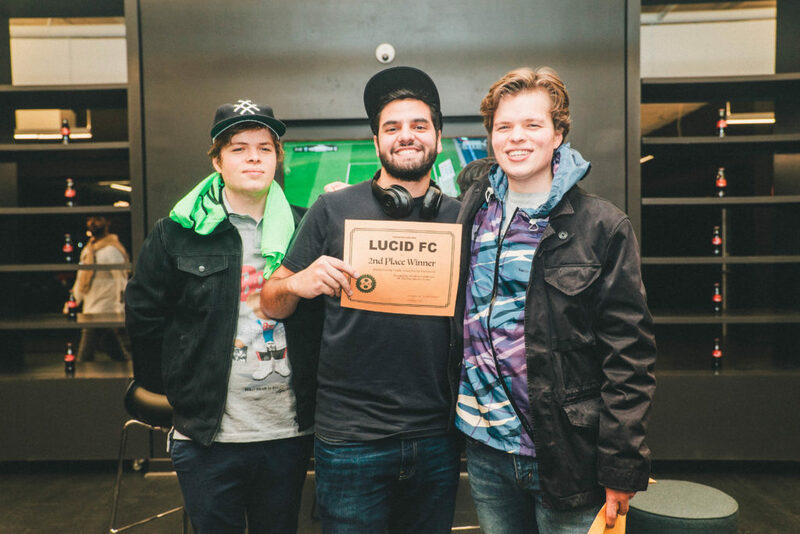 But just in case that wasn’t enough, KitBoys, Lucid FC and Prize Picks were also out in full force to leave their own lasting impression on the crowd. 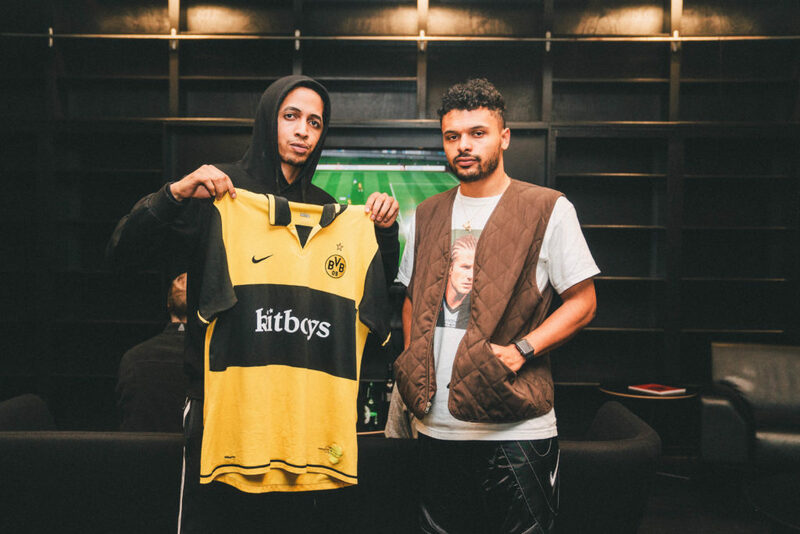 In addition to providing the third place winner with their very own KitBoys jersey, the up-and-coming brand also had multiple jerseys on display for all guests to admire. Lucid, however, was sure to make winners out of everyone. The lifestyle brand gave out hats all night and offered up a generous $500 shopping spree as the second place prize for the tournament. 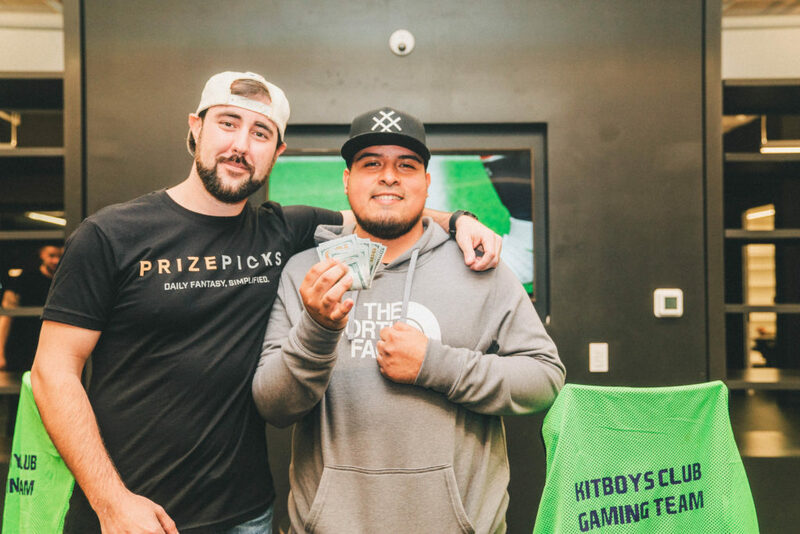 Meanwhile, Prize Picks was on hand to give out full demonstrations of their sports fantasy app while also showering guests with free swag and giving a cool $500 in cash and $500 in Prize Picks credit to the very first Atlanta Gaming Classic Champion. The final round of the tournament came down to Andrew Argumedo, aka Young Guru, versus Angel Gomez. Both competitors shifted over to the big screen so the final round could be played for everyone to witness. Eager guests quickly gathered around the competitors to see who would walk away with the most important W of the night. Andrew’s team of choice was Juventus while Angel decided to use Manchester City. Young Guru struck first and proved just how much of a dominant force he really was the entire evening. In an overwhelming 5 to 1 match, Young Guru emerged victorious despite the fact that he typically only plays on XBOX and not PS4. Ouch. While only one winner could be chosen for the tournament, it’s safe to say that the inaugural Atlanta Gaming Classic proved to be about much more than just running a tournament and crowning a victor. In true Atlanta fashion, this event became a smorgasbord of culture, entrepreneurship, innovation, and, most importantly, undeniably great vibes. CREDIT: Gavin Guidry | Johnny Hillebrand of Prize Picks presenting AGC winner Andrew Argumedo with his earnings. We’d like to thank all the sponsors of our inaugural Atlanta Gaming Classic tournament for all their help. MOST importantly we’d like to thank every participant in this year’s tournament! Make sure you follow the AGC for updates on upcoming tournaments. Get an email for our next tournament.